A popular new chart compares feature sets of seven InfoPath replacement possibilities. We suggest adding one more column. Maarten Visser recently posted a deck on SlideShare, InfoPath Alternatives and the Potential of PowerApps. The topic was clearly quite popular — he tweeted that the deck had received over 1,200 views in four business days. It’s no surprise that people flocked to the presentation. The combination of Microsoft announcing something new and InfoPath users starving for guidance on InfoPath replacement made this a timely topic. After all, we noted that ‘InfoPath replacement’ was the first thought that came to mind for many when they first heard of PowerApps. This chart does the service of providing a framework in which to consider InfoPath alternatives, including PowerApps. We’re not in a position to evaluate the accuracy of the PowerApps column in this table, not yet having gotten our hands on the product preview. But let’s extend the discussion by taking a closer look at the Third Party column. Formotus offers two form designers, both supporting all the listed features. Our new creator is under development and will roll out in 2016. Meanwhile, we have always supported — and will continue to support — InfoPath Designer as a form design tool. In addition, we extend the InfoPath library of controls with our own mobile-centric custom controls for mobile data collection using camera, GPS, ink, etc. 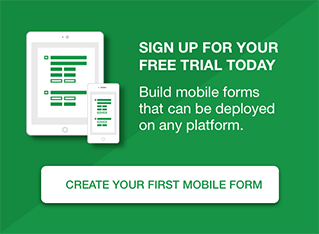 Formotus has InfoPath-compatible form fillers for iOS, Windows, and Android. We are mobile-first and our offline usage story is extremely robust. We modestly score ourselves yellow (partial support) for a desktop client because our Windows filler runs as a modern/metro app, not as a desktop app. And we score partial support for embedding in SharePoint because we don’t run in the browser but our apps do launch from links in the browser. Formotus forms can be submitted to SharePoint lists and libraries, emailed as XML and PDF or submitted to Web services — SOAP/REST today and JSON on the roadmap. 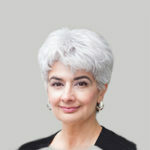 We support connections to databases through Web services or SharePoint lists. 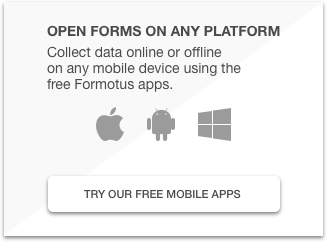 Formotus forms exceed InfoPath forms in task integration because they support the same SharePoint workflows but also our own device-based workflow forms. While Formotus does not support custom code in InfoPath forms, our new creator will support JS, CSS, and XPATH custom code.